The weather reports had called for rain all weekend but we packed our gear and headed for the park anyway. It wasn't as warm as earlier in the week but we were prepared for chilly nights and wet weather. We drove past Winnipeg Beach and Gimli where many people were opening their cottages over the long weekend and from there the traffic decreased rapidly. We were on our way north to Hecla Island. 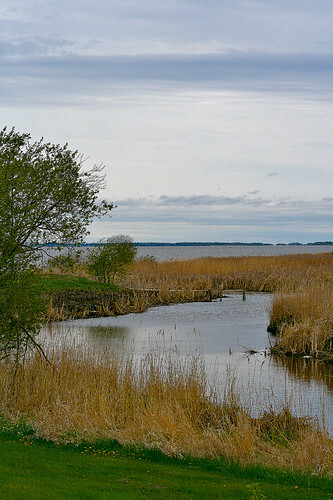 Hecla Island was first settled in the 1800s by Icelandic people. In 1875, the Republic of New Iceland was established by the Canadian government exclusively for those coming from Iceland to build new lives, fishing and farming as they had done in Iceland. But there were differences the newcomers had to face. Canadians wanted fresh fish, not the smoked fish that was popular in Iceland so ice houses had to be built. Instead of fishing on an ocean that didn't freeze, the people had to learn how to hack through the thick ice that formed on Lake Winnipeg and in the short summers, grow enough food to feed their families. Many of the original settlers were persuaded to leave by the clergy who served the community. They were convinced the settlement would fail and led all but eight of the original families to what is now Icelandic State Park in North Dakota. But other hardy Icelanders arrived and the community survived. 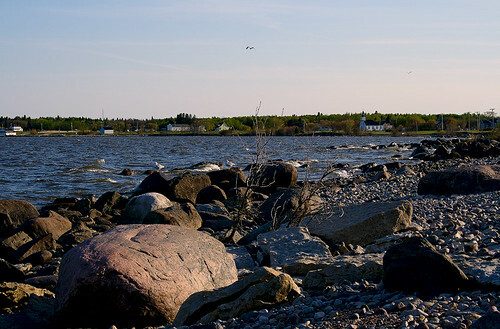 View of Hecla village from the shoreline. Rugged terrain, harsh winters and isolation were some of the challenges early settlers faced. 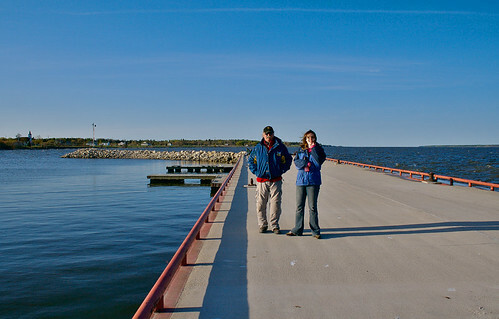 Hecla village pier - still a very cold wind off the water but beautiful and if you are hardy, patient, and dressed warmly, the fishing is very rewarding! One of the original fish stations, this one is now a museum that houses some of the artifacts used by the island's intrepid inhabitants. The islanders were self-sufficient and bartered for what they did not produce on their own homesteads. A general store carried items like coffee, tea, sugar, dishes, and fabric. The church played an integral role in community life and continues to have services today. A school was built in 1922 but closed in 1966 under a school consolidation program. At this point, many families with school age children left the island. Early evening at the Hecla pier. Hecla was completely isolated. 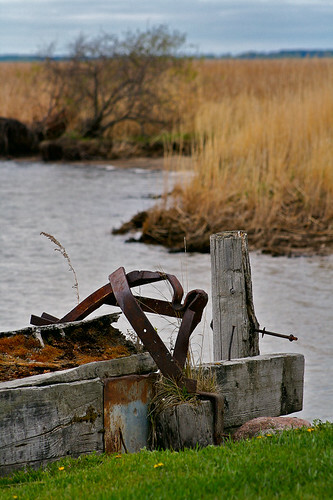 Riverton was the closest town and there had been no ferry service until 1953. Even then, the trip took four hours through the Grassy Narrows marshlands. In the late 60s, the residents approached the government to have the area declared a Provincial Park. The steady decline in forestry and fishing gave the Islanders little choice if they were to survive. In 1969, the park became a reality. Eventually, a causeway was built in the 1970s and the trip by car was only 40 minutes. Hecla Island life was changed forever. 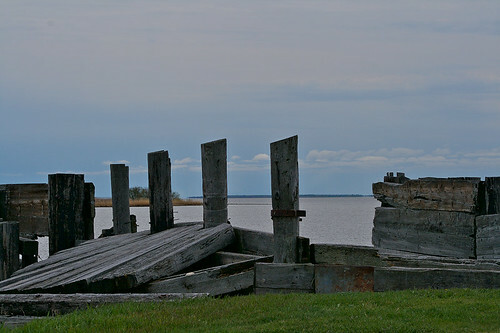 Remnants of the Hecla Ferry dock - it was discontinued after a causeway was built in the '70s. 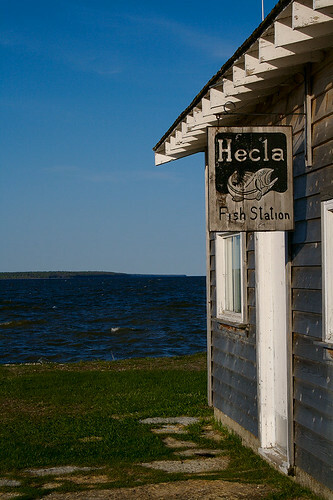 From the time of the first settlement in the 1800s, the community on Hecla Island was completely isolated with no electricity or other modern convenience until more than half the 20th century had passed. Another piece of the past from the Hecla Island Ferry that made the trip though what is now Grassy Narrows Provincial Park. The ferry ran from the early '50s until the causeway was completed in the '70s. Narrow inlets weave their way through this vast bird sanctuary. Finding the way by boat through this area of wetlands must have been challenging. It took 4 hours by ferry to do what is now done in 40 minutes by car. 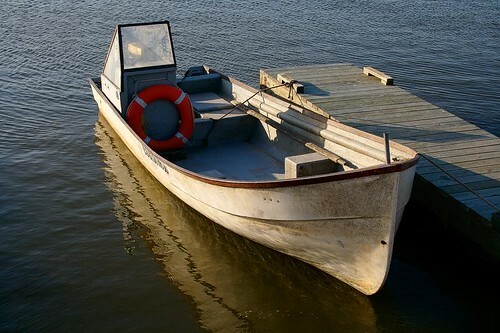 In the summer, the mosquitoes must have been frequent companions on the ferry! Today, the island industry is tourism. 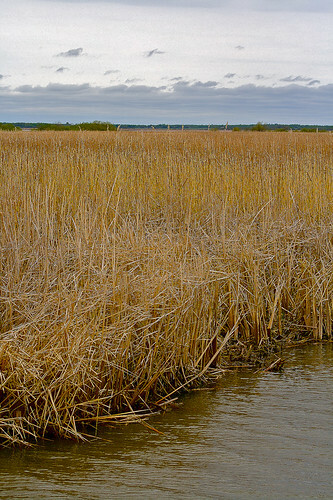 The marshland is a protected santuary for birds and offers a wonderful opportunity for photographers. Fishing spots are abundant and many are equipped with cleaning stations. 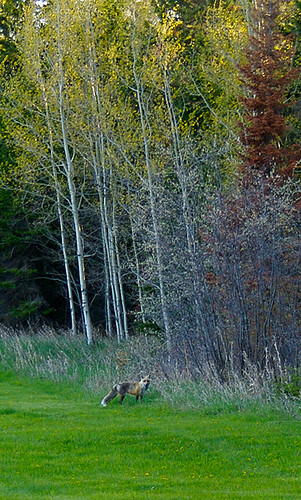 Foxes dart in and out of the forest and black bears are active in the campgrounds when given the opportunity. 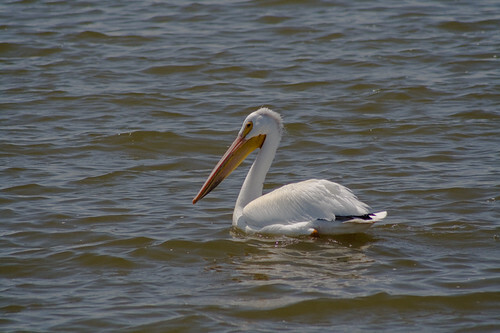 Pelicans are the most patient fisherman of all! This fox stopped for a moment to watch me take the photo before he disappeared back into the forest. In spite of all the changes, Hecla Island remains the same. Its inhabitants live in harmony with nature and it's not unusual to see a fox being hand-fed by one of the islanders. It is wild, windswept, and not just a little enchanted. Your post about Hecla was remarkably evocative. My dad grew up on the island and is laid to rest in the cemetery. Thank you, emeraldeyes. It holds a special place in my heart, too. What a beautiful place to grow up! Your dad was very fortunate.